Northern Michigan is the place to be during the beautiful days of Summer. 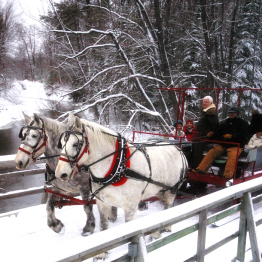 Enjoy Thunder Bay's horse drawn carriage ride. Travel through the Resort and cross the Thunder Bay River to see newborn calves and world class bull elk in velvet. It's magical to see such large antlers in velvet this close up! Enjoy a splendid full five (5) course gourmet dinner cooked before you on two antique wood cook stoves and served in an impeccable setting. From apple/pear crepes to white chocolate mousse filled pizzelles, it’s guaranteed to be a gourmand’s delight. Before your last cup of cherry coffee you feel like part of the family. All too quickly it’s time for the short ride back to the clubhouse or to your deluxe accommodations. 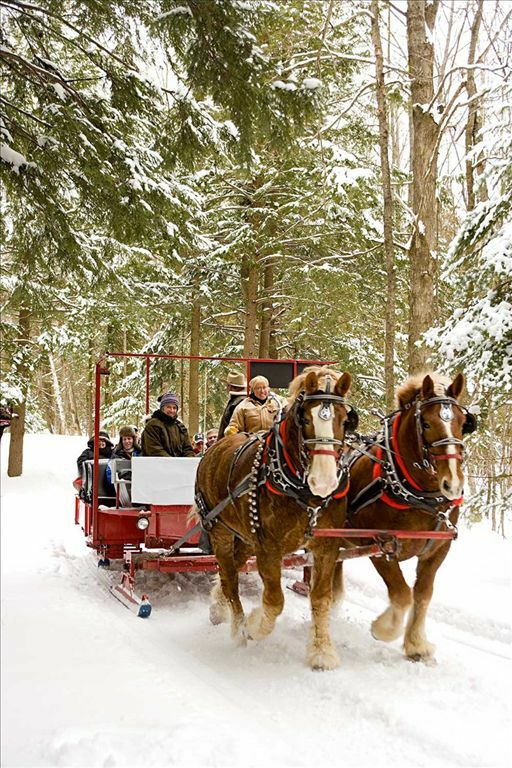 Winter's white blanket, proud evergreens and Thunder Bay's horse drawn sleigh ride invite you to cuddle up as you travel through our Northern Woods. 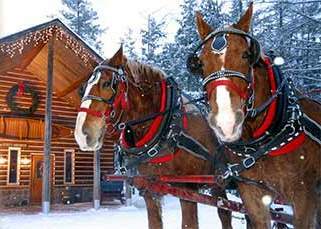 From the sleighs, you will view bull elk with world-class antlers. What a natural beauty! 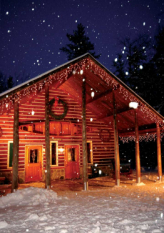 Warm up in front of the split stone fireplace inside the Elk Antler Log Cabin as your gourmet feast is prepared. Fall brings special beauty to the North Woods. Enjoy maples and stately evergreens. Thunder Bay Resort is unique in offering an intimate look at wild elk. 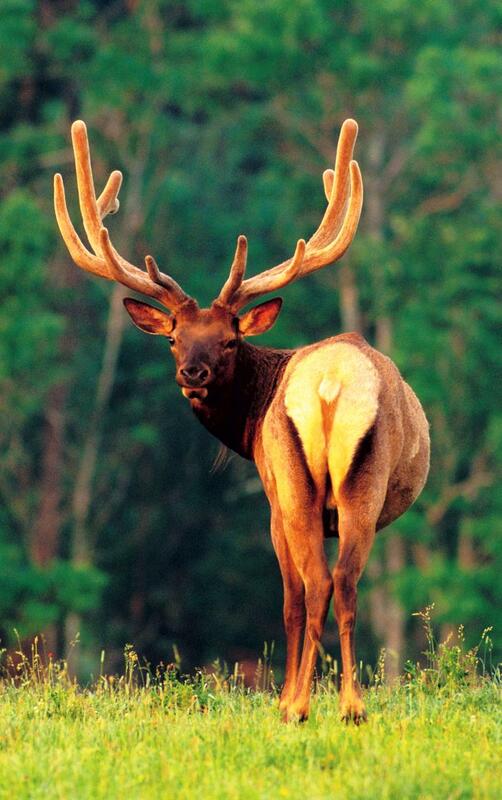 See the majestic bull elk bugle, wallow, strut, spar and fight for dominance. The fall rut rituals are an awesome sight! Hear the antlers clash and clatter as these world-class bulls prove their strength. Anytime of the year Thunder Bay Resort makes an ideal destination and location for couples, families, and small to medium size business meetings or retreats. Our Elk Viewing Carriage Ride, Gourmet Dinner & Wine Tasting is magical and romantic, making it perfect for your special occasion . We are experienced at planning Group Events, Vow Renewals and Wedding Celebrations. 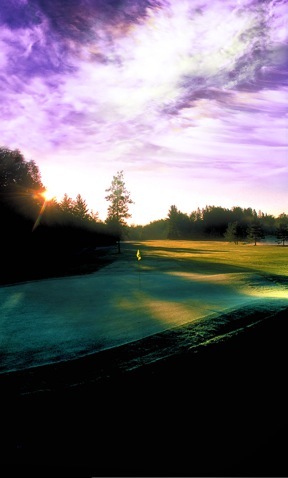 The beautiful 18 hole golf course that is sure to be fun and challenging.